Time for my weekly roundup/review/rant of/about the Carnival of Personal Finance. This week’s edition is up at Darwin’s Finance. Seems like it’s a little shorter than usual. Friday holidays will do that. Right at the top of the editor’s picks was an item from Funny About Money on the value of a master’s degree. That’s a good topic of relevance to us all. But, although the post does hint strongly at the idea that grad school is likely to be a poor investment in economic terms, it does not quite get down to brass tacks and tell the reader how to evaluate a given degree. A post from The Digerati Life on the merits of identity theft protection has the same problem. The issue is sort of nibbled at on the edges without the payoff of a cost-benefit analysis. What gives? Yes, in both cases there are non-money factors to consider, but lining up for the reader what you pay and what you get in dollar terms seems obvious and central to the discussion. Are these bloggers afraid of going against the grain and too strongly making the case contrary to grad school and ID theft protection? Be brave! Dare to be hostile! Another editor’s pick was a post from Amateur Asset Allocator telling us that An Infinite Return On Investment Is Impossible, Even In Real Estate. Various snake oil salesmen of the "get rich in real estate with no money down" kind have been claiming that if you get an income off something you bought with no money down that is an infinite return on your investment. Kyle at AAA takes on their math. Poor Kyle. I picked on him last week. And he has the right answer, no money down real estate is no picnic of free cash, even if you can manage to pull it off. But the math is sound. Positive cash flow on nothing down really is an infinite return on your investment. It’s just irrelevant. What a person should consider when evaluating any potential investment is the risk involved relative to the reward expected, not how much money you need to put down. If what mattered was maximizing return on investment all we would need to do would be to put all our money into the single highest return (and riskiest) investment we could find. Punch Debt in the Face, a blog whose graphics remind this fortysomething of a ransom note, has a good post on the topic of obsession. Specifically, closely watching your investments, frugality, and just generally going overboard on the whole personal finance thing as a form of OCD. The post makes some good points. I’m always happy to hear examples of craziness when it comes to money that is the opposite of the free-spending irresponsibility that everybody seems to assume. Also, Punch Debt has the best Twitter graphic ever. Two apparently unrelated blogs submitted posts on the importance of having an investment policy statement. It’s not a bad idea, but it’s kinda unlikely advice to get doubled up. What am I missing? Was June National Investment Policy Month? American Consumer News posted on buying American made goods. It’s a good Fourth of July themed post, but also makes the excellent point that this is much easier said than done. And finally there was a good discussion of the cash for clunkers program at Free from Broke. 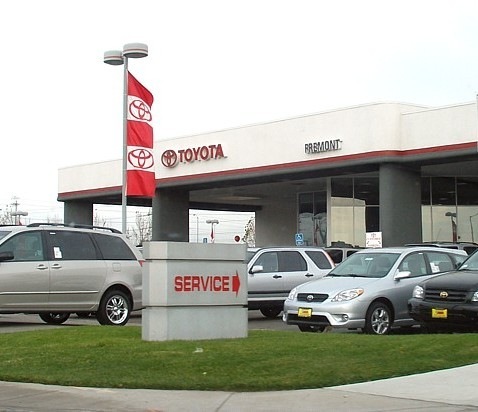 I discussed the program here in the context of the Obama Administration’s larger plan to transform our government into a car dealership, but lately some more responsible voices have pointed out some other flaws with this scheme. For example, by paying a bounty of $4500 to have certain cars destroyed, the government effectively removes vehicles that are worth less than that from the available pool of used cars. That could be a real problem for a working stiff who needs transportation to get to his job. Funny how these unintended consequences start occurring to people in the weeks after the bill is signed. Thank you for pointing out that simply because a blog has a decent amount of traffic, it isn’t necessarily a good blog. I find most blog posts lacking in actual content and providing simple 4 minute reads that add nothing to an actual conversation. I won’t name anyone here, but just read Franks comments on the CoPF each week and you’ll get the idea. I hate blanket analysis on grad school. It depends, a large part, on field of studies. For that matter the same exact question can be asked about ugrad studies. Blessed (?) as I am with enough years of data, I can do the math on my graduate degree. What’s the opposite of infinite returns? I do work in marketing, so I like the title “Punch Debt in the Face.” Agressive! Makes even Jim Cramer look soft and tentative. But I don’t think it’s OCD he’s talking about. I think it’s religion. We’ve got a movement of frugality building. It’ll fall apart though – they’ll never agree on the funds to build a Church. Thanks for including me in your esteemed list! Yeah, the cost benefit would be great for a lot of these posts. We just need some time to churn some of this stuff out. And on a mommy’s schedule, it can be tough. Wow, Nice roundup and commentary each week – pretty cool. Yes, this week was very sparse on the entries. I hosted one last year at my other blog and there were probably 100 entries. I think the 4th took a toll for sure. I also had to parse out about 7 entries from the same person(s) following a bit of investigative work as well as several purely commercial outfits that have a little “blog” tab – but they’re not really a blog. Aside from that, I’m glad I got the opportunity to get the word out on some great posts and it’s also helpful to share my new blog with some other bloggers and readers that otherwise may not have found it. Just a side note on science graduate degrees. You do need an advanced degree to get a good salary, but you shouldn’t go into debt to get an advanced science degree. Tuition is generally forgiven plus a small stipend is paid (usually enough to live on if you are frugal) in exchange for working for the university as a teaching asst or research asst. So at worst you keep yourself out of the job market for 4-5 years and pull in a very tiny income but then you will have twice the earning power once you are out. Note that this applies to sciences and not engineering where a BS Eng gives nearly the same earning power as a PhD in science.